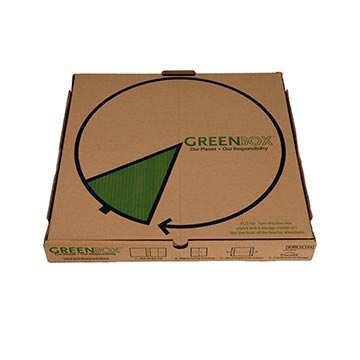 The gold standard for carry out, pizza boxes must provide the perfect fit, while keeping your pies hot, fresh and as delicious as dine in. myBoelter has a variety of sizes, depths and designs to choose from, including single slice, reusable and recyclable options. Whether you’re looking for environmentally friendly, competitive price, and/or fast and functional, we have everything you need to keep your customers coming back for more. Boelter MW080246 Chicago-Style White Pizza Box - 12" x 12"
Boelter 757750 Chicago-Style White Pizza Box - 10" x 10"
Boelter 16162CHICAGO Chicago-Style White Pizza Box - 16" x 16"
Boelter 16162 Michigan-Style White Pizza Box - 16" x 16"
Boelter 14142CHICAGO Chicago-Style White Pizza Box - 14" x 14"
Boelter 14142 Michigan-Style White Pizza Box - 14" x 14"
Boelter 12122 Michigan-Style White Pizza Box - 12" x 12"
Boelter 10102CHICAGO Chicago-Style Red-Checkered Pizza Box - 10" x 10"
Boelter 10102 Michigan-Style White Pizza Box - 10" x 10"